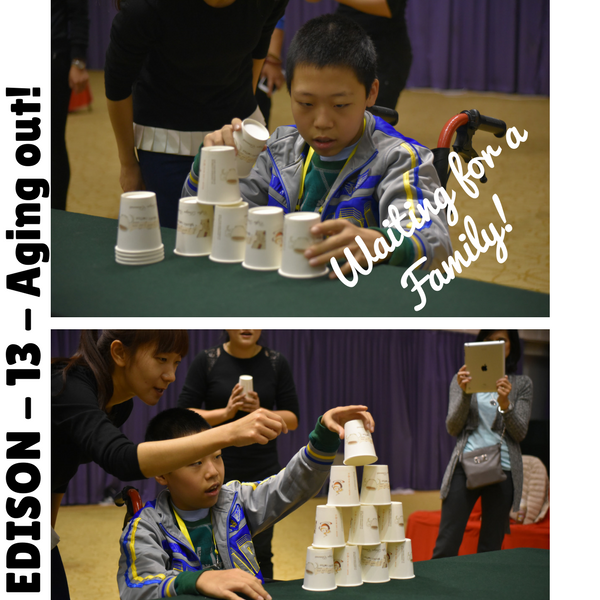 Edison will turn 14 in June 2018. He will AGE OUT then, no longer having the opportunity to have his own family. Feel free to SHARE this page, his images, whatever you need to help him get a family before his 14th birthday. This boy is a delight and deserves a family of his very own. “This child has a tender and gentle spirit. One of the primary educators at the orphanage spoke about Edison and attested to his wonderful disposition. At lunch, he asked one of the nannies if he could share some of his chips with me. He took my hand at one point during the week and asked for us to be friends. 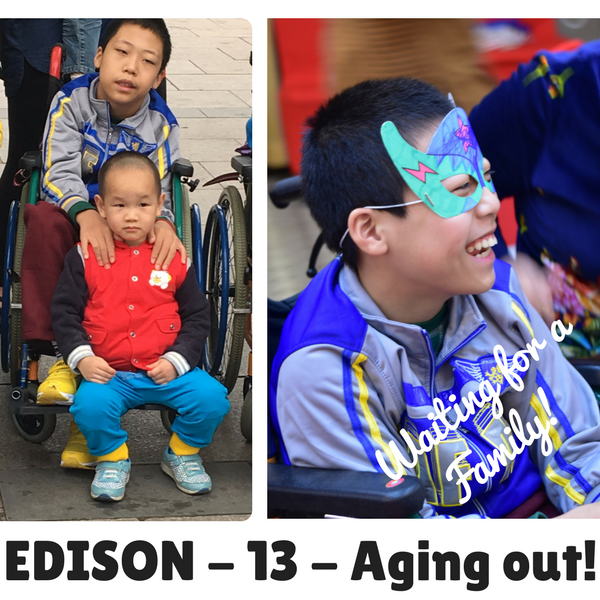 Edison interacted with adults as well as other children from the orphanage, particularly children with cerebral palsy. 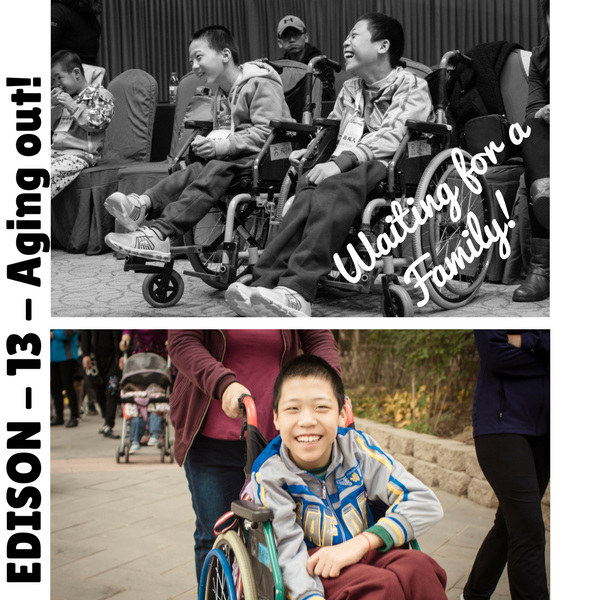 Edison has CP and uses a wheelchair for mobility. He can independently transfer to the floor as well as wheelchair to bed transfers. He has a wonderful smile with a deep kindness in his eyes. Fine motor tasks are difficult but Edison can perform them with increased time. He loves building things and gadgets. TwentyLess is not an agency, it is an advocacy site run by an adoptive mom (me) who would love to see every child with a family of their very own.